A classic American getaway. Nantucket (rightfully so) steals the hearts of many each and every year. With its beautiful blue water beaches, charming homes with white picket fences, and an endless supply of seafood, it’s a hard one to miss! If the island hasn’t graced you with its presence just yet and you’re wondering what to do when you visit, I’ve got you! I had the opportunity to visit earlier this summer and fell in love with this stunning place. It rained nearly the entire time while I was on the island, but that didn’t stop me from riding bikes all over town, dancing at breweries, and eating every lobster roll in sight. The beaches here are, in my opinion, some of the prettiest on the entire east coast! I visited during one of their insanely rainy weekends, so I didn’t have the opportunity to splash around in the waves, but I’ve heard nothing but amazing things about Surfside Beach, Jetties Beach and Madaket Beach. Soak up the sun (with tons of SPF on), have a picnic, and relax! 2. Visit the oldest house in Nantucket. 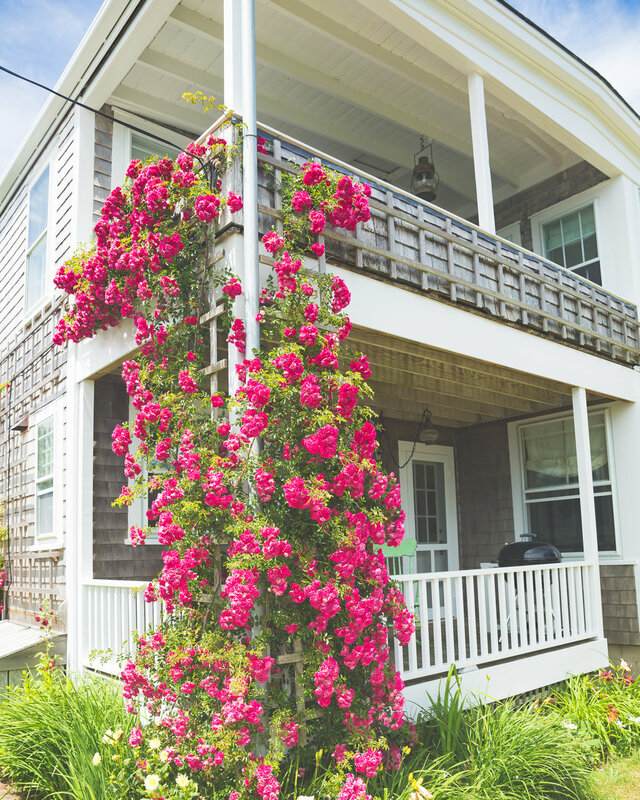 There are strict preservation laws in place, so many of the homes and structures in Nantucket are well over 100 years old. If history is your jam, get a feel for how things used to be (300 years ago) with the Jethro Coffin House, also known as the Oldest House! This place was built in 1686 and even has authentic furniture, so you can go home with a little historical background of this darling little town! 3. Go for a sail. Get a feel for the Maritime lifestyle by feeling the salty wind in your hair! This is especially a great go-to idea if you’re traveling with a group and can split the costs with more people! 4. Rent a bike and explore. The island of Nantucket is only 14 miles long and 4 miles wide, so you can bike to a ton of different places. One of the best decisions I made during this trip was making sure to have a bike accessible. Go ahead and ride around town while picking out your perfect future summer home! You’ll get serious inspo to get that 401k started and will fall head-over-heels for this beautiful island - can you say “retirement goals”? 5. Hit up Cisco Brewers. Famous for being a 3-in-one hot spot, Cisco Brewers is one of the most recommended spots to visit in Nantucket! The brewery is also a winery and distillery, so there’s tons to see and explore. Go ahead and sip their wine, cheers to beer, and chase your troubles away with their own distilled spirits! If that’s not your jam, there are also tons of amazing food trucks serving up freshly-shucked oysters, delicious lobster rolls, mac and cheese egg rolls and more. Grab a bite (or five) and hunker down in one of the many outdoor seats as a live band performs. The atmosphere at Cisco Brewers feels so alive, you’ll want to visit again and again during your trip to Nantucket. Make sure to plan for at least one meal or visit here. You won’t regret it. 6. Caffeinate at Handlebar Cafe. Get in your vacay coffee fix at this cute little shop! The environment of the Handlebar Cafe is cozy, welcoming, and perfect for sipping down your lavender latte while enjoying a warm cinnamon roll or ginger cookie. Order up and take your goodies into the secret garden out back or get your coffee to go and sip while overlooking the harbor. The Handlebar Cafe is the perfect place to stop after a morning bike ride and a wonderful opportunity to meet the locals. 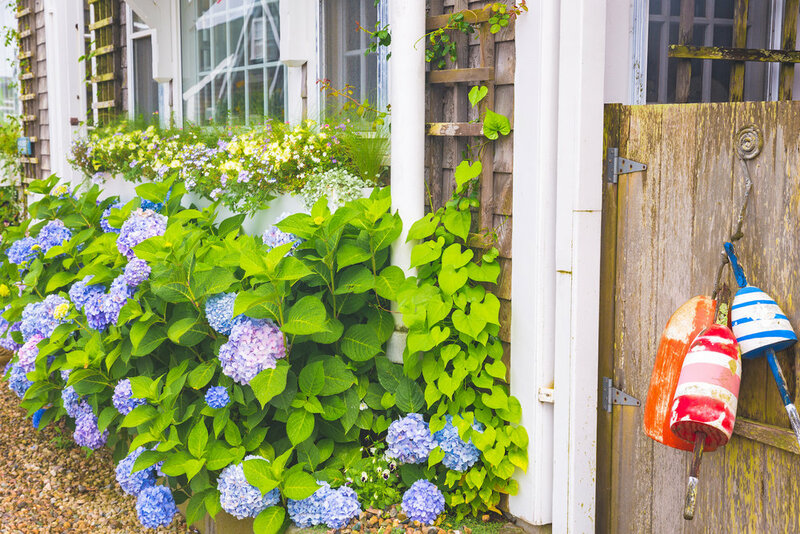 For all the ‘cute-little-town’ feels, take a walk through downtown Nantucket! Checking out shops, stopping in somewhere for lunch, and wandering through hidden spots is a great way to spend an afternoon. 8. Visit Brand Point Lighthouse. Did you really go to Nantucket if you don’t have an Instagram-worthy picture with this photogenic lighthouse? This lighthouse is the second-oldest lighthouse in the United States and has actually been in service since 1746. Just a ten-minute walk from town, the Brand Point Lighthouse is a must-see. 9. Pig out on seafood. Now’s the time to get your fill of fish! Being on an island, you can expect the seafood to be wonderfully fresh in Nantucket. I would definitely recommend ordering a lobster quesadilla from Millie’s or a lobster roll from Cru followed up with a mouth-watering scoop of homemade ice cream in a waffle cone from The Juice Bar for dessert. For those adventurous enough, fill your plate with Nantucket Oysters at Sea Grille! 10. Find your way over to The Chicken Box. Get on your dancing shoes! The Chicken Box is not your typical, “sip wine while looking pretty” spot. Prepare to dance your bootie off with the girls while throwing back beers! The Chicken Box is an amazing spot to visit after dinner. There’s always live music, great drinks and tons of dancing. Nantucket is a favorite getaway, and no matter what you decide to do there, I know you’ll be instantly impressed with its charm. If you’ve already visited before, what are some of your favorite things to do there? Let me know in the comments! Happy Travels! 20 Things to Do in NYC This Fall.